On June 12, we reported that Illinois Governor, Bruce Rauner, signed a Bail Reform bill into law. The new law seeks to make changes to the bail process in Illinois by trying to move away from the requirement of posting cash as a way to avoid keeping people in jail who are poor and lack the financial means to post the cash needed to be released from county jail on minor criminal offenses. The new law requires that if the Court sets a cash bond at an initial Bond Hearing, and the defendant is unable to post the cash required, a second Bond Hearing must take place within 7 days of the arrest. The purpose of this second bond hearing is to re-examine whether there are alternatives available to the requirement that cash be posted. This second Bond Hearing is a further step towards moving away from making posting cash the main way to be released from jail pending resolution of a criminal case. About 18 months ago, the Illinois Supreme Court instituted a pilot program, which had many of the changes contained in this new law, to see how they would impact the court system. Kane County was one of the counties that participated in this pilot program. Kane County has seen some of the impacts of this new law and county and court officials are expressing some concerns which we will discuss. The first impact is a loss of revenue. The Clerk of the Circuit Court of each county is allowed to keep 10% of any bond money posted. So if a defendant posts $10,000 in bond money, when the case is finished. the Clerk of the Circuit Court will refund $9,000 to the person who posted the bond and will keep $1,000 for the Clerk of the Circuit Court. If fewer people are required to post a cash bond, this means that there’s less money for the Clerk of the Circuit Court. Kane County officials estimate that this could cause a $200,000 loss in revenue this year. Kane County is already facing a budget deficit. You would think that this loss in revenue could be absorbed by the savings from the lower number of inmates in Kane County Jail. However, a recent increase in the number of violent crimes in Kane County has led to an increase in the jail population in Kane County Jail. Kane County officials blame the increase in the violent crime rate in Kane County to the fact that gang members can get to Kane County from Chicago via I-88 and I-90. Chicago gangs are able to extend their drug trade from Chicago to Kane County, causing an increase in violent crimes and a further strain on Kane County’s limited resources. The second impact has to do with the costs associated with the second bond hearing required by the new bail law within seven days of an arrest. The second Bond Hearing must take place even if the 7th day is a weekend. The law requires that a Public Defender be present for that second bond hearing. The Kane County Public Defender’s Office does not have enough Public Defenders to cover that second bond hearing. The plan is to hire a private attorney to be able to cover those extra hearings required by the new Bail Reform Bill. However, the Kane County Public Defender does not think that they will be able to find a private attorney who would be willing to give up their private practice just to cover these additional Bond Hearings for Kane County. As a result, Kane County officials believe that it is likely that the Kane County Public Defender’s Office will be required to hire a full-time Public Defender to cover the Bond Hearings. The additional salary, health insurance, and pension costs associated with a new hire will add more strain to an already stressed Kane County Budget. James Dimeas is a nationally-recognized, award-winning, Kane County criminal defense lawyer. James Dimeas has been handling criminal cases throughout Kane County, Chicago, Cook County, DuPage County, and Lake County for over 25 years. James Dimeas has been recognized as a “Best DUI Attorney.” Expertise has named James Dimeas a “Best Criminal Defense Lawyer in Chicago.” The American Institute of Criminal Law Attorneys have named James Dimeas a “10 Best Attorney for Client Satisfaction.” The National Trial Lawyers have named James Dimeas a “Top 100 Criminal Defense Trial Lawyer.” The American Society of Legal Advocates have named James Dimeas a “2018 Top 100 Lawyer.” AVVO rates James Dimeas as “Superb”, the highest rating possible for any lawyer in the United States. If you need an attorney for a Bond Hearing in Kane County, Chicago, Cook County, DuPage County, or Lake County, you can contact James Dimeas anytime for a free and confidential consultation. Mr. Dimeas can always be reached at 847-807-7405. What Will Bail Reform Act Mean for Kane County Jail, James Fuller, The Daily Herald, June 16, 2017. New Illinois Bail Reform Bill Signed Into Law on Friday, James G. Dimeas, Chicago Criminal Lawyer Blog, June 12, 2017. 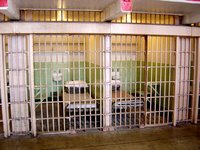 Cook County Jail – A Symbol of What’s Wrong With Our Criminal Justice System, James G. Dimeas, Chicago Criminal Lawyer Blog, June 5, 2017.